The kids are back in school…YAY! The kids are back in school…BOO HOO! Whether that fact makes you happy, sad, or both, you can still make the most out of your weekend together. You know you want to go to the Y-M-C-A (cue dance moves and inappropriately dressed construction worker). 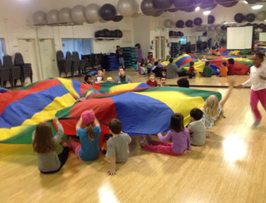 This Saturday, the 16th from 11am-2pm you can check out the Santa Clarita Valley Family YMCA at their Open House. It will give you and your family a chance to learn about their programs like Adventure Guides, Before & After School Enrichment, High School Youth & Government, and more. Plus you can join in the open swim, play games, or let your kids go bonkers in the bounce house. Call (661) 253-3593 for details. You can even sneak in a work out…yeah right, we know the odds are low on that one, but it could happen! Want something simple and easy to do on a Saturday morning before it gets too hot? How about taking your kids bird watching! Join up at Towsley Canyon’s front parking lot for this 2-hour adventure, where you can learn about some of the birds that live and travel through our local mountains. Related: Want a grown-up date night activity? 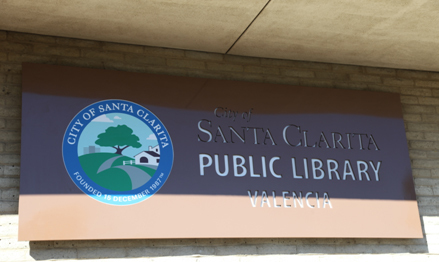 Check out more Things To Do In Santa Clarita! The library is always a great place to go on a hot afternoon, and this Saturday the 16th at noon the Valencia Library is offering up a free showing of the movie “The Hobbit: The Desolation of Smaug”. This movie is rated PG-13 so it’s better for the older kids, plus they can explain the movie to you. There are even snacks provided, and you can bring a sack lunch as well. Here’s a kid and stroller friendly activity for your weekend: a visit to the Wildlife Learning Center. This gem for animal lovers is just a quick jaunt to Sylmar and has all sorts of cool animals for your kids to learn about. It’s a chance to get close up with exotic animals with trainer talks on the hour, plus for a small additional fee kids can have individual animal experiences like holding a Burmese python or Fennec Fox. For general admission adults are $7, kids and seniors are $6, and the “under two” crowd is free. They are open Saturday and Sunday from 11am to 5 pm and more info is available at wildlifelearningcenter.com. DISCLAIMER: AFTER VISITING, YOUR KIDS MAY ASK YOU FOR A BURMESE PYTHON FOR A PET. SAY NO. Just because the official Summer Break is over, you can still have some summer style fun on the weekends. In fact on Sunday the 17th from 12-5pm you can head over to Paradise Cove in Castaic and do a Drop-In Kayaking Class. It’s only $20 for an hour-long class, and that is per kayak (they fit up to 2 adults and 1 small child, or 1 adult and 2 older children). Instructors will give you the supplies, safety info, and basic paddling technique, then encourage you to explore on your own. Calling (661) 257-4050 can give you all the details, and you should call to check on weather conditions. It’s super fun for families, just make sure you don’t have anyone in your kayak with a history of sea sickness…you don’t want them putting the “yak” in “Kayak”.